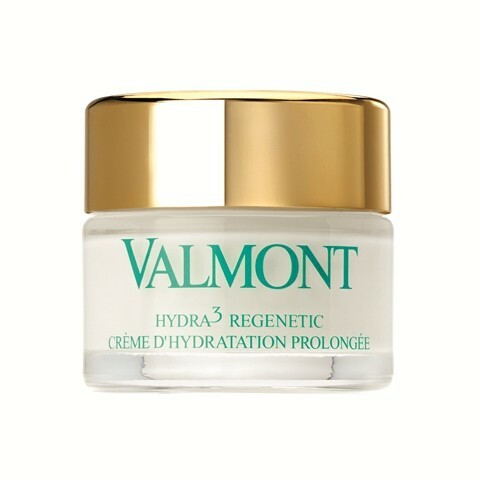 A cream that leaves skin looking full and healthy, dehydrated wrinkles are smoothed, and skin is plumped and comfortable. For intensely dehydrated or mature skin. Apply in the evening over the entire face and neck. The velvety texture of this skincare formula combines the freshness of a gel and the richness of a cream. This prolongedhydration cream contains liposome-encapsulated DNA and a high concentration of hyaluronic acid to offer the skin new moisture reserves. Enriched with a complex of biomimetic lipids, this cream also provides dehydrated skin with the comfort it so desperately needs. With regular application, the hydration processes seem to be reactivated thanks to the cumulative effect of PHA (Precursor of Hyaluronic Acid) for prolonged hydration. The skin appears plumper and fuller. Hydra3 Regenetic cream recreates a nourishing and protective film that leaves skin feeling soft through to the following morning. Apply at night, after using the serum, apply a small amount to the face and neck.